Huge Savings Item! 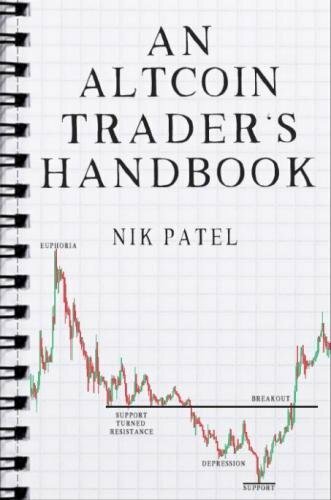 Save 11% on the An Altcoin Trader's Handbook by CreateSpace Independent Publishing Platform at HYIP Offer. Hurry! Limited time offer. Offer valid only while supplies last. The exponential growth of the cryptosphere over the previous half-decade has brought with it a plethora of life-changing speculative opportunities. The exponential growth of the cryptosphere over the previous half-decade has brought with it a plethora of life-changing speculative opportunities. Where traditional financial markets seem inaccessible and ineffectual due to the prevalence of high fees and low returns, the emergence of a worldwide market of decentralised alternatives to Bitcoin allows for those unable (or unwilling) to navigate the often-slippery world of hedge funds and investment banks the chance to realise financial freedom. This, of course, is no effortless journey, and this book does not profess to be a get-rich-quick scheme of any sort. Instead, An Altcoin Trader’s Handbook merges almost five years of tragicomic yet insightful anecdotes on the ever-evolving nature of the cryptosphere with a comprehensive strategy for profitable altcoin speculation. The book focuses on maximising the upside potential of capital whilst diminishing downside risks, both of which are possible with speculation on so-called ‘microcap’ and ‘lowcap’ altcoins, given the application of proper risk management. Above all, the reader will learn, in exhaustive detail, the three-stage process of research, accumulation and distribution that has been the bedrock of my own success in the space. The journey will be intensive – often arduous – but will, with some good fortune, result in an individual most well-equipped to capitalise on the greatest glut of financial opportunity the world has ever seen.